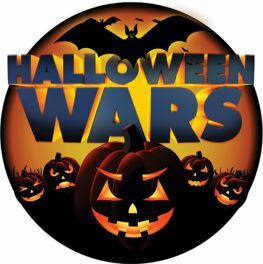 Watch one or more episodes of Halloween Wars on the Food Network to see how the competition works before beginning the actual competition. Students fill out the reflection guide sheet as they view. Review the project guidelines and rubric with each team. The project include four parts and each member of the team is in charge of one of the parts. Parts include: Cake, Rice Krispie, Pumpkin Carving, and Tasting Element. After viewing an episode of Halloween Wars, students begin planning and designing their project. Once jobs are decided and recipes planned, then groceries are purchased. PURCHASE ENOUGH FOR tasting element ½ batch practice, one practice pumpkin, and then one FINAL VERSION (cake, rice krispies, tasting element for 40, pumpkin, etc.) that is a display the size of a lunch tray. Also included are ALLOWABLE ELEMENTS: 5 props that can be added to scene to help theme. They do not have to be edible. EVERYTHING ELSE MUST BE EDIBLE. A timeline is included below for specific planning parts as well as a rubric for grading criteria according to theme, food choices, skills, taste and technique.